Were you one of the thousands of people injured in coal mines every year? Did someone you love sustain a fatal coal mining injury? We know that coal mining injuries put you and your family in a difficult situation. You may not be able to return to your job and there's no "light duty" work option in the mining profession. If you are suffering from a coal mining injury, call our law firm at 1-866-943-3427. We're here 24/7 to explain your options and help you get the money you need to support your family and move forward with your life. Coal mining is one of the most dangerous jobs in America. Miners work in small spaces underground, often while operating heavy equipment. It's easy to trip or fall in the darkness and the loud machinery can permanently damage your hearing. In addition, fires and explosions in coal mines have led to large-scale disasters that have killed thousands of workers. Even though safety regulations have reduced injuries and fatalities, accidents still occur. We've compiled a list of coal mining accident statistics nationwide. Looking for more statistics? View our accident statistics page. There were 1,871 coal mines and 137,650 miners. In 2012, 20 people died in work-related accidents in coal mines. There were 3,459 injuries reported in 2012. Of the reported injuries, 2,331 resulted in days off work. 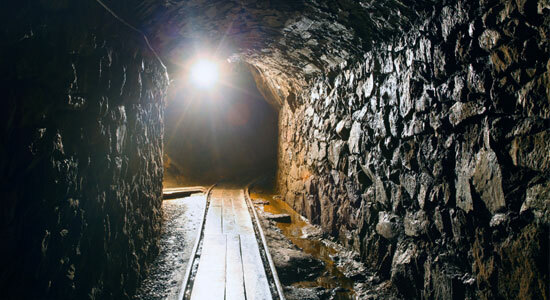 The Mine Safety and Health Administration issued 139,770 citations to coal mine operators. There were 1,973 coal mines and 143,437 miners. In 2011, 21 fatalities occurred in coal mines. There were 3,923 total injuries reported, an increase compared to 2010. Of the total injuries, 2,601 resulted in lost work days. The Mine Safety and Health Administration issued 156,802 citations to coal mine operators. In 2010, there were 1,944 coal mines and 135,500 miners. Of those miners, 48 died due to fatal workplace injuries. There were 3,766 total injuries reported in 2010. Of the total injuries, 2,532 resulted in lost work days. "2012 Fatal occupational injuries by industry and event or exposure" by the Bureau of Labor Statistics. August 2013. "Injury Experience in Coal Mining, 2012" by the U.S. Department of Labor for Mine Safety and Health. 2013. "Mine Safety and Health At a Glance" by the Mine Safety and Health Administration (MSHA).